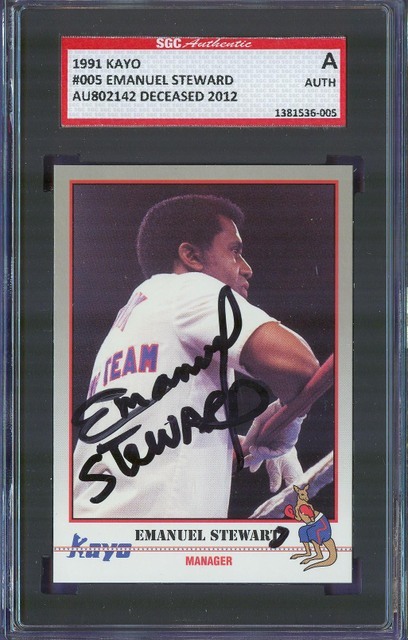 1991 Kayo regular issue Emmanuel Steward. Got it signed in person at the Lewis-Klitschko presser. Nice guy; he corrected the typos on the card, front and back.